Vitamins & MineralsSwanson Albion Chelated Calcium & Magnesium - 60 kaps. 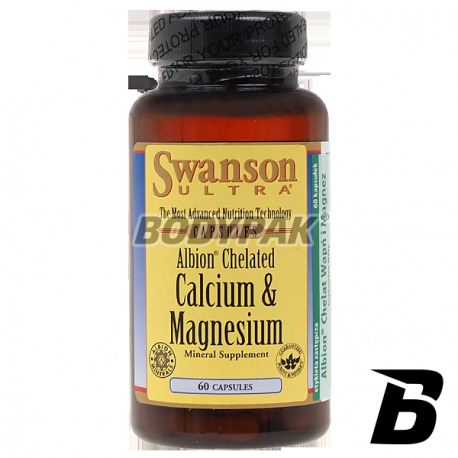 Swanson Albion Chelated Calcium & Magnesium - 60 kaps. Albion chelate Calcium and Magnesium - A product with optimal proportions between the calcium and magnesium (2: 1). 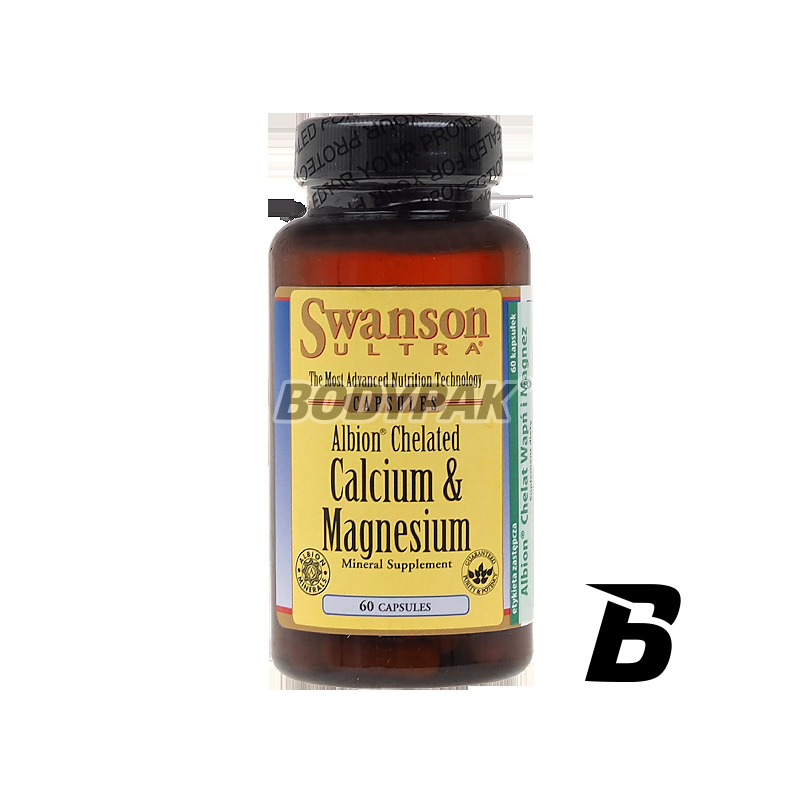 Swanson Albion Chelated Calcium & Magnesium - a product with optimal proportions between the calcium and magnesium (2: 1), which strengthen bones and teeth, will help in the fight against progressive loss of bone mass. It is the ideal product for people living in the rush and stress. Składniki: diglicynian wapnia, diglicynian magnezu, żelatyna (otoczka kapsułki), mikrokrystaliczna celuloza (substancja wypełniająca), mąka ryżowa, maltodekstroza, stearynian magnezu i/lub dwutlenek krzemu (substancje przeciwzbrylające), dekstryna.